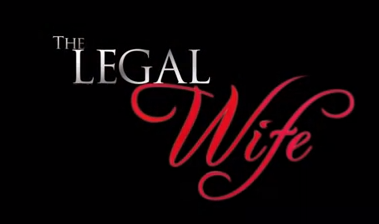 'The Legal Wife', which stars Angel Locsin, is finally airing this January 2014 on ABS-CBN Primetime Bida. A movie-like teaser trailer has been airing in the network since last week, showing the characters of its lead stars Angel Locsin, Jericho Rosales and Maja Salvador in intense drama scenes. And so far, it's getting overwhelmingly positive responses from the viewers, drawing lots of excitement to those who clamor for teleseryes with a mature theme. For sure, the excitement and anticipation would even be higher when 'The Legal Wife' full trailer arrives on our TV screens. 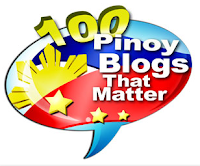 As revealed in the teaser plug, full trailer will premiere this New Year's Day (January 1, 2014) right after 'Honesto'. Thanks, it's finally airing after it was postponed from its supposed pilot in November. Fans of Angel Locsin are probably the most excited for 'The Legal Wife' since it marks Angel's comeback teleserye after missing her on weeknight primetime for almost 3 years. Her last was the soap 'Imortal' which ended Summer of 2011. It's also the first melodrama series for Angel on ABS-CBN, after 2 fantasy-dramas ('Lobo', 'Imortal') and 1 light romantic drama ('Only You'). Even in her former studio, GMA 7, she was seen mostly in action-fantasy drama series. Other "firsts" for 'The Legal Wife': first teamup of Angel and Jericho, and first soap of JC De Vera as a Kapamilya. Directed by Rory B. Quintos and Dado Lumibao, 'The Legal Wife' also stars Christopher De Leon, Rio Locsin, Mark Gil, Joem Bascon, Ahron Villena (finally, he got a big role on ABS-CBN after a long time), Thou Reyes, Pamu Pamorada, Frenchie Dy, Liza Diño and Maria Isabel Lopez.